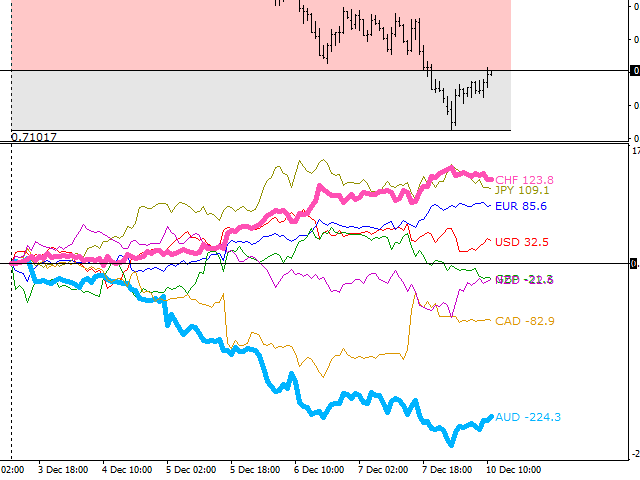 This indicator allows you to analyze the hidden trends and correlations between the 8 most traded currencies via unique strength meter which creates multiple charts in a single window based on the price action of each currency in relation to all other currencies. 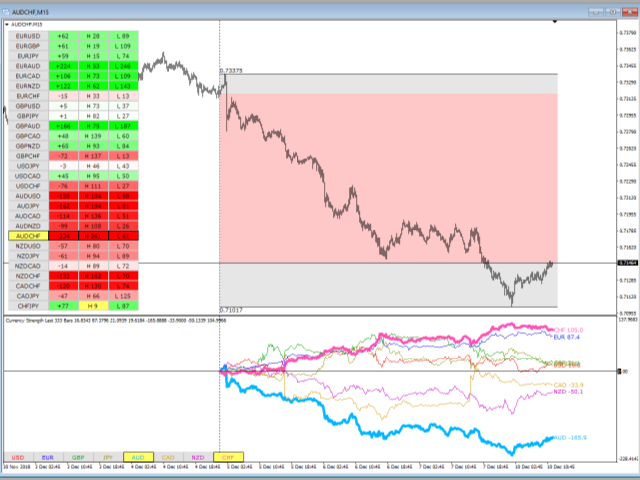 The indicator also includes interactive panel where you can see the trends for all 28 pairs as well as the distance to the highest and the lowest price for the selected period. With this panel you can switch between currency pairs with one click. Unique Currency Strength Meter which creates separate chart for each currency. Interactive panel which shows information for all 28 pairs and allows you to switch between pairs with one click. 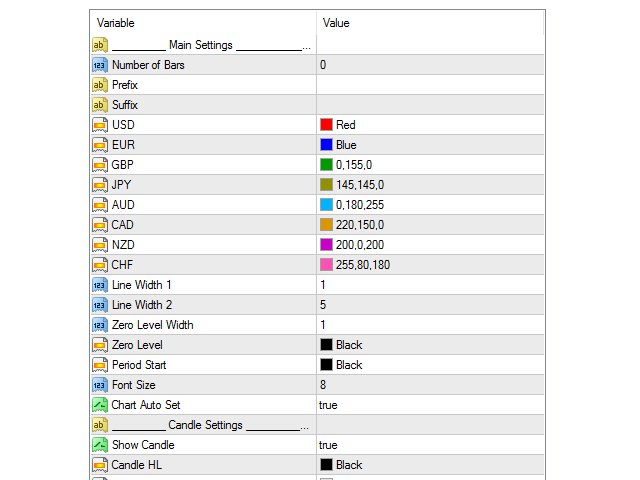 Additional buttons which allows you select currency pair by selecting separately the 2 currencies. 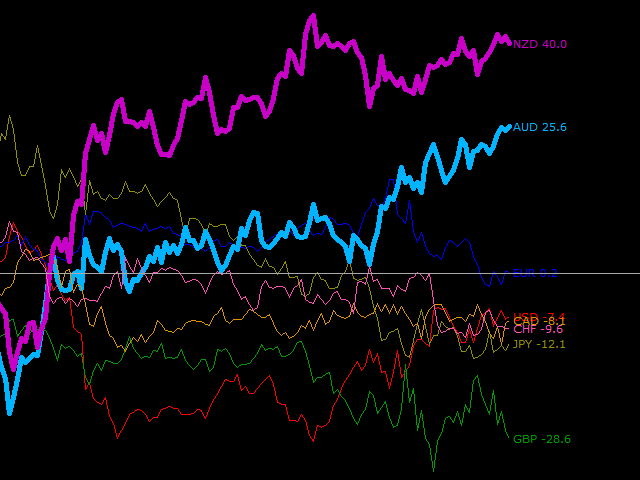 Graphical visualization on the chart in form of transparent "Candle" showing the Open, High, Low and Close for the selected period. 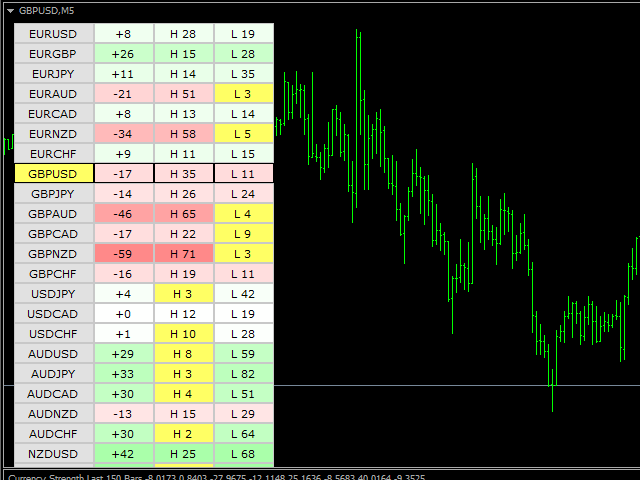 Many options and settings for customization of the indicator. Number of Bars - sets the start time and the period. If the value is zero the indicator shows information only for the current day. Prefix - if your broker is using special prefix in the names of the symbols you have to type it here. Suffix - if your broker is using special suffix in the names of the symbols you have to type it here. 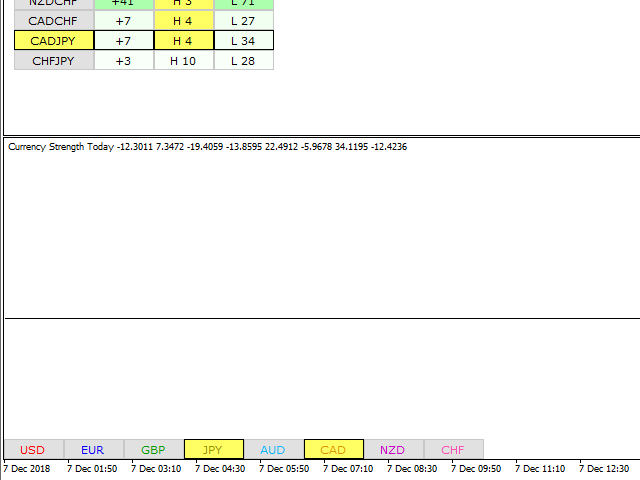 Line Width 1 - line width for the currencies which are not selected. 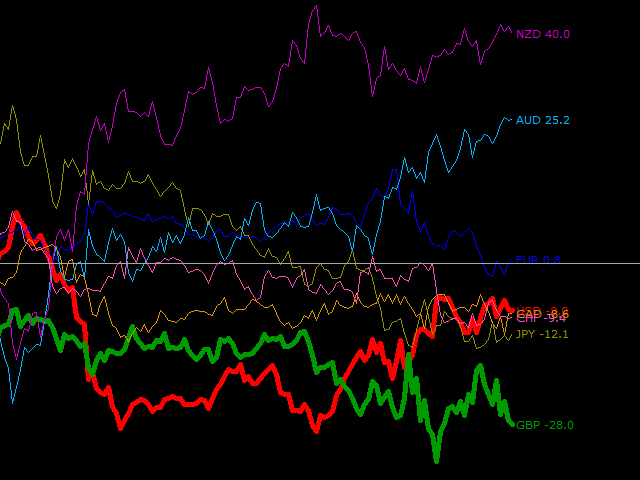 Line Width 2 - line width for the selected currencies. 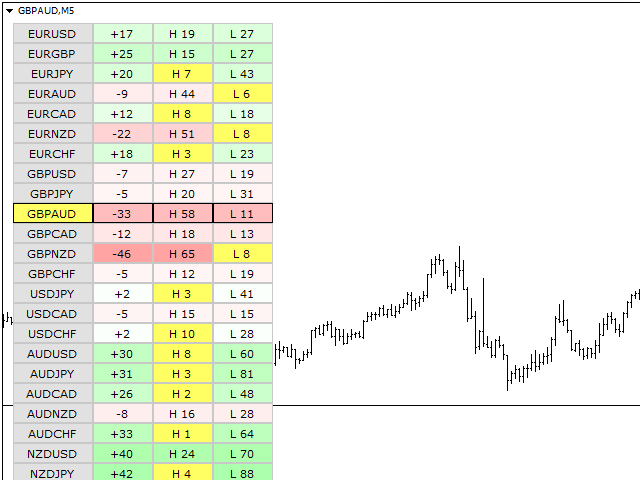 Chart Auto Set - automatic chart configuration. Disable this setting if you want to change chart settings based on your preferences. 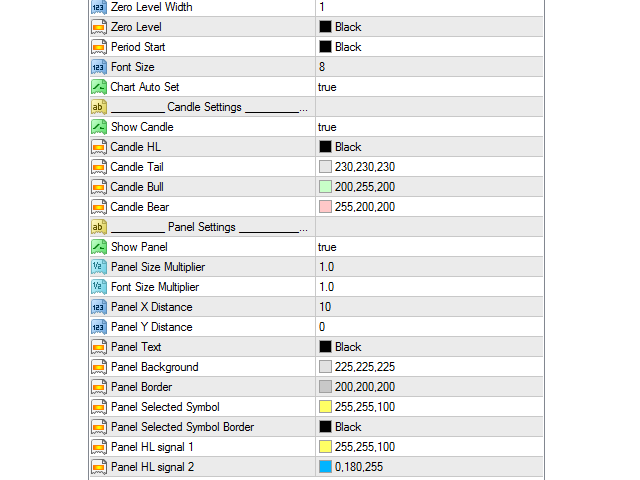 Panel Size Multiplier - determines the size of the panel. Font Size Multiplier - determines the size of the font. Panel X distance - horizontal distance. Panel Y distance - vertical distance. Note! 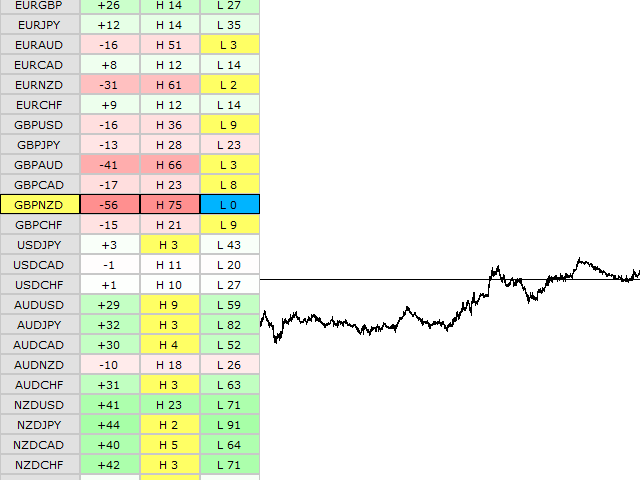 This indicator does not work in the strategy tester! 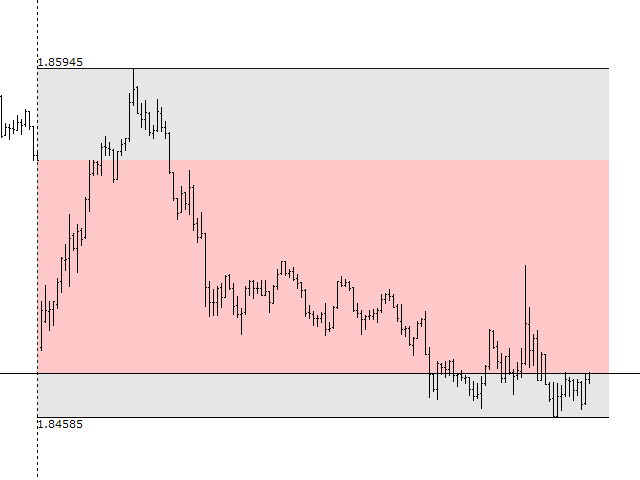 For testing you can rent the indicator for 1 month, or you can download the free limited version from here. If you have questions regarding this app or any of my other products, or if you need help - contact me via private message.